On our way back to Boston from a traditional weapons seminar in New Jersey, we stopped off in a greasy spoon for a traditional mega-cholesterol lunch of animal chunks fried in animal fat, garnished with processed animal fat, and with salty fries on the side. Very tasty and just the thing to give an English dandy a flavor of the real US and probably something to remember us by once he got home, too. As we entered the diner, after the mandatory three-minute round of “after you,” “no, after you, I insist”—only three minutes because each of us trusts the other enough to let him walk behind, in a crowded place at least—we were shown to our booth. We both headed straight for the command seat, the seat with the best view of any possible danger. We’re not friendly enough or thin enough for both of us to occupy the command seat of a two-topper booth, so after an eternity of jockeying for position, we agreed to let the innocent from abroad, Robert, have the command seat while I took the seat opposite him—aka siege perilous. We laughed about this, because without saying what we were up to, each knew what the other was doing. We were each intent on establishing our security perimeter, settling in for comfort, but also digging in to defend ourselves against any deranged diner staff or hostile fellow customers. By tacit agreement, we quickly established our joint perimeter and set about watching each other’s back. People like Robert and me are cursed, or blessed, by our long years of defense training. We seldom let our guard down. We can’t walk into a room without first scoping it out completely, checking out all the exits, all the windows, all the possible shelter from hostile gunfire. We don’t like to sit with our backs exposed. We don’t settle contentedly into unnecessarily vulnerable seats. We survey all the other inhabitants of the room for the least evidence of irregularity, hostility, or untrustworthiness. We keep an eye on the doors, even the door to the ladies’ room. We evaluate and re-evaluate constantly. Every object in view is scrutinized for its possible application as a weapon, if the need arises. In a restaurant, we arrange the dishes and tableware so that we have a weapon within easy reach at all times. This might seem like a bit of over-caution, but it’s not paranoia. We’re able to process all this evidence and usually still relax enough to enjoy ourselves and our lives. We can choose to risk ourselves by ignoring a potentially dangerous situation, if we assess the probability of harm to be low and the advantage of relaxation to be high. A full-blown paranoiac can never relax and can never make time for pleasure. Some of us have at times crossed the line from appropriate vigilance to at least mild paranoia. 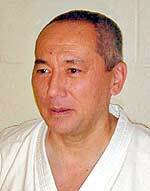 For example, after training in karate for about a year, one of my students—a very peaceful, intelligent, and centered young man who was a colleague from my office—began to have difficulty riding the subway home from work or the dojo. He couldn’t sit anywhere but in the end seat, next to the conductor’s booth. He had to check and re-check each passenger in the car. When passengers talked quietly with each other, he wondered if they were talking about him. He began to imagine that some of the passengers were plotting, waiting for his attention to waver, so they could pull out their weapons and attack. Even worse for him was the walk from the subway station to his apartment. Every shadow held a threat; every stranger he passed was a menace. Eventually, he had to give up his martial training. It was better for him to remove himself totally from any consideration of safety or self-defense. After all, what good is self-defense if the self to be defended is living in utter misery? After he quit training, he was able to regain his balance and live a pleasant life again. He’s been fortunate enough to avoid trouble anyway. Even though he doesn’t make his personal security a paramount issue, he is still not blithely charging through life unaware—a good practical compromise between risk and opportunity. It just doesn’t work for me, or Robert, or others like us. Some martial practitioners, who may be otherwise somewhat sane, are proud—some even boast of it—that they never let their guard down. From my personal observation, these people are usually deluded, because their guard is actually down as often as anyone else’s. They’re frequently totally vulnerable to surprise attack and it’s tempting at times to just drop a noogie on them. However, they feel more comfortable imagining that they are ever-vigilant. That imaginary lack of vulnerability makes them pretty easy to manipulate to your advantage, by the way. Teenage boys are particularly prone to this delusion, but most of them grow out of it. Others, a rare few, really are watchful at all times. With some of these people, the tension is palpable; stress drips from every pore. It’s very obvious, even to people who know nothing about self-defense, that they’re on red alert. The best thing to do with these people is keep your distance, because they’re wound hair-trigger tight and they’re dangerous (prone to rampage, too) to all: you, innocent passersby, etc., and especially themselves. People of this sort really are paranoid. They don’t have much to live for but the negative energy they feed off. Others of the constantly alert have managed to maintain their balance. They are not visibly tense because they have found a way to relax while keeping a dynamic but somewhat distant concentration on all things at once while simultaneously not focusing on any one thing. They are aware when there is the possibility of risk, but they’re not worried about it. They are able to dwell in a state called in Japanese zanshin. In earlier times, such as the Warring States periods in China and Japan, there were probably many people with this trait. After all, they knew they were going to die soon, one way or another, so why worry about it? And, on the other hand, why make it too easy for an aggressor? Zanshin was a trait that prolonged survival, but it certainly didn’t much improve the quality of the lengthened life. Those were miserable times for all. In modern times, there is less reason to cultivate the mindfulness necessary to be relaxed but aware, with the exception of driving a car. For one thing, it’s not of as much use in modern warfare. I’ve met only about a half dozen people who have the ability to an impressive degree. Only three of them were involved in martial training, and only one of these three had military experience. Three others were monks (one Zen Buddhist, one Theravada Buddhist, and one a Franciscan friar of the Episcopal Church); and one an ex-marine who was not aware that he possessed the trait; he walked the walk without thinking the thought. Eventually, his state of awareness dissipated. Awareness is always a good thing, but hard to maintain. Reasonable vigilance at reasonable times is a good thing and can be learned and maintained by almost anyone. This state increases the chances of survival in good physical and mental health without actually ruling out having fun in life. Total absence of vigilance is a dangerous thing—even a flock of sheep in wolf country is better off. I used to strive for the state of constant relaxed awareness, but it was beyond my ability to attain without giving up too many other things, particularly the ability to leave myself open to delightful surprises from my children. Looking back, I think I might have strayed now and then over to the paranoid side of the fence. I’m still working on finding the right approach and the right balance. It seems to be getting somewhat easier for students of the martial ways as they age, so that gives us all something to look forward to in our dotage. * Just a joke. Robert actually has a far better sense of humor than I do—I hope.